Bellefonte Iron & Nail Co. When I give tours of the library, I tell people that the APRL doesn’t collect stamps. This is mostly, but not 100%, true. 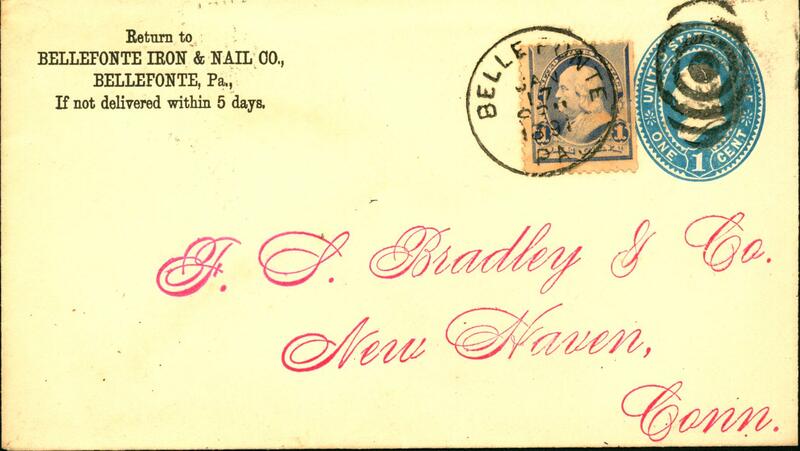 One of the exceptions is our collection of Bellefonte postal history. The collection ranges from the mid-1800s to the current century, and includes everything from stampless covers to picture postcards. Charles Fricke recently donated a new item to us for this collection. It is an 1891 cover from the Bellefonte Iron & Nail Co. 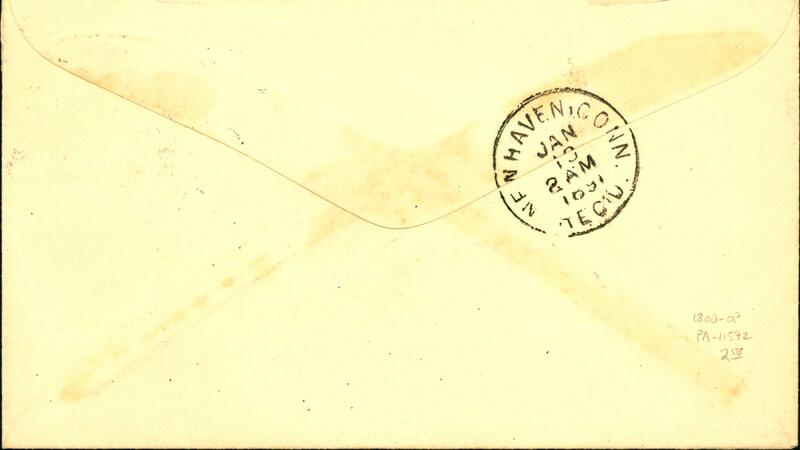 This is our first cover from this company, but we do also have a bond in our collection. According to the 1892 Directory to the Iron and Steel Works of the United States, the company had 53 nail machines.